Don't be alarmed or complain when you hear a chopper in the air, even one seemingly lower than normally expected. 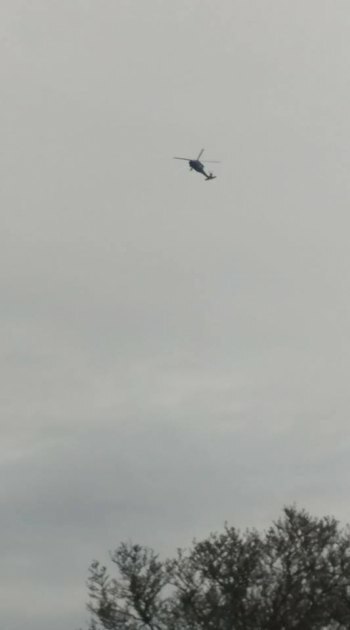 The WV National Guard is supplying a helicopter along with technical support to assist multiple law enforcement agencies due to the city's spiking violent crime wave. "If our helicopter spots something that makes it safer for an officer to make an arrest, then that's a damn good thing," Major General James Hoyer, Adjutant General of the West Virginia Air National Guard told WOWK.com expanding on an earlier release concerning the Guard's function in Huntington. Huntington Mayor Steve Williams told HNN late Tuesday, Decc. 18, "I’m pleased with the response of all our partners. They are committed to assisting us in ridding our city of this menace before it spreads to other communities." A social media outpouring of concern to WV Gov. Jim Justice had requested that the National Guard compliment law enforcement to end a violent wave of homicide and shots fired incidents. Speaking on the vacancy in the Mayor's Office of Drug Control Policy (Jim Johnson retired and took a position with West Virginia), Mayor Williams said, "it continues it’s mission. I am having conversations with someone about being the director. The nearly $5 million in grants recently announced were a major initiative of the MODCP with its partnering agencies."